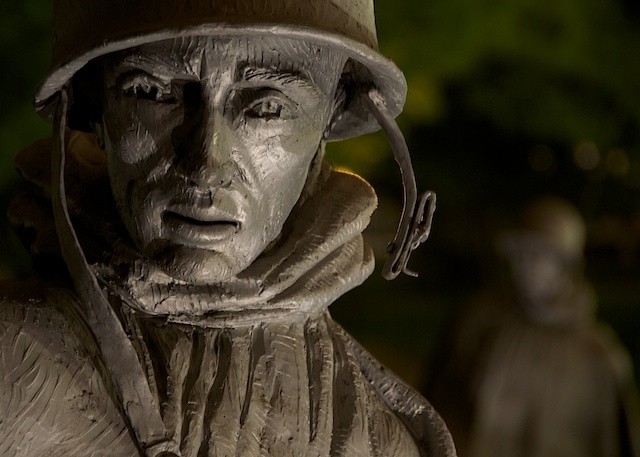 Mark Anderson shared his infrared photography project on Civil War battlefields. This was a great presentation because Mark didn't just show photos, he taught a practical workshop on IR photography. Learn everything you ever wanted to know about this technique, and see how he interprets the genre with his personal project. If you are interested in learning more about our Civil War battlefields, visit the Civil War Trust. Whether you want enough money to buy your next lens or secure your retirement, your ability to make more money will depend on your mastery of these principles. 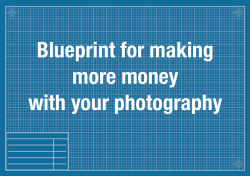 Join me as we discuss the blueprint for making more money with your photography. "I only shoot in this mode"
Ed crouched near a bed of golden autumn leaves, squinted into his viewfinder, and paused -- clearly waiting for the right moment. I glanced in front of him to see what he was shooting and noticed a small squirrel scampering his way. The shutter squeezed just as the animal paused and looked up. 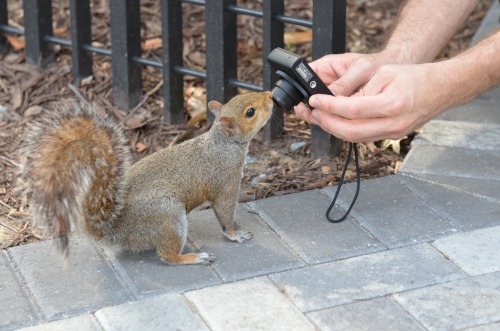 Friendly squirrels are a common site around the monuments where I teach my photo tours, but I'm always interested in what photographers are trying to capture. "Did you get it?" I inquired. "I think so," he said as he began to review his images. "Great! What settings did you use?" "I shot in aperture priority, f/16." "Why did you choose that combination? What were you trying to create?" "I'm not sure. I once took a class from an instructor who said he only shoots in aperture priority mode, so I do, too." While I hate to criticize other methods of teaching, here's my exception to that rule. If anyone begins a sentence with "I only shoot in ____ mode..." ignore everything else that follows. A wide angle lets you capture a wider field of view and also has an elongating effect on your background. I like to think of it as the ultimate form of decisions and consequences. The better you understand your tools, the more decisions you can make to create different effects -- the consequences. If you choose to only use one setting, you have limited the range of images you can create. At best, it's not very creative. At worst, it's lazy. That sounds harsh doesn't it. Aren't there times when someone might legitimately only shoot in one mode? Perhaps. Photographers will sometimes limit their options voluntarily as a personal statement or style. Some photographers only shoot in black and white. Some focus exclusively on a specific theme -- abandoned buildings, for instance. Some might limit themselves in lens choice. I use my 50 mm as my primary walk around lens. Many of these are style choices. They can actually help you develop your creativity. Shooting only in aperture priority mode at f/5/6 is less about style. It's more about routine. Sometimes it is about safety and security. What it seldom does is help you become more creative, grow or stretch. You often have to leave your comfort zone for that to happen. And besides, mimicking someone else's choice doesn't help you develop your own creative style. Here's an alternative. Shoot only in [fill in the blank] mode for a day. Then shoot only in [fill in the blank with something different] for another day. Get comfortable with all your tools. Then you can choose the right one for the effect you want to create. You can shoot with greater confidence. Best, you will ignore the people who want to limit your photo choices because of their lack of imagination. Tomorrow over Thanksgiving dinner, many of us will express our gratitude for the significant blessings we experience. I will likely do the same thing. Before that day, however, I'm going to give thanks for the everyday things -- all the things that make my life as a photographer just a little more enjoyable. Here, in no particular order, is my photographer's thanksgiving list. 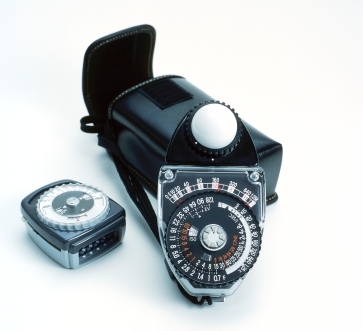 Once upon a time, we would go out to shoot with only 24 or 36 exposures and make them last for the entire day. We had to make every shot count. We couldn't spray away 36 frames on one scene just to be sure we got it all. We had to do this thing called bracketing. We would shoot one shot at the exposure our meters read, then we would overexpose by one stop and underexpose by one stop. We couldn't see what we were capturing, so we had to cover our bases. Photographers still do the same kind of thing for HDR photography, but back then we didn't do it to be artsy. It was a CYA move. Speaking of exposure. When you chose ISO 200 on your way out the door, it was a commitment. There was no changing the ISO with every new lighting condition. How did we ever survive? I shot with far more gear than I would have ever purchased this year, thanks to online camera rental companies. How cool is it that you can rent lenses worth thousands of dollars for just the specific time you need them ... and sometimes spend less than $100. Next time you want to try gear that you don't really need to own, consider renting. Photography used to be a solo sport. Not anymore. If you love to shoot and want to find others who share the same passion, go to meetup.com, enter "photography" and your zip code. Voila! 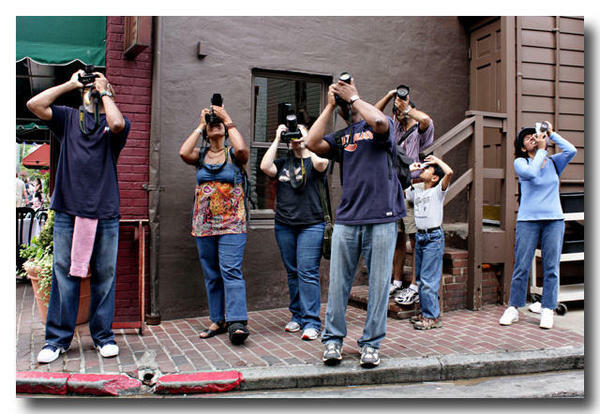 Photography enthusiasts groups for just about every interest and genre. That's how I got started on this journey. I just wanted a few photography friends. I got a new career and a community of like minds. Priceless. You know the old adage, the best camera is the one you have on you. Now thanks to my iPhone, I know a camera is always within my grasp. Go ahead and do something silly or interesting within eye shot. It will be on Instagram and out to the rest of the world in moments. Is that a blessing or curse? 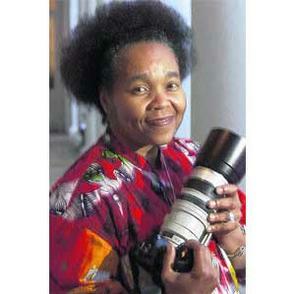 I love talking photography, and I consider it such a blessing that you have chosen to share and learn with me. I treasure your interest, attention, and friendship. What about you? What's on your photography thanksgiving list? Share them with me in the comments. 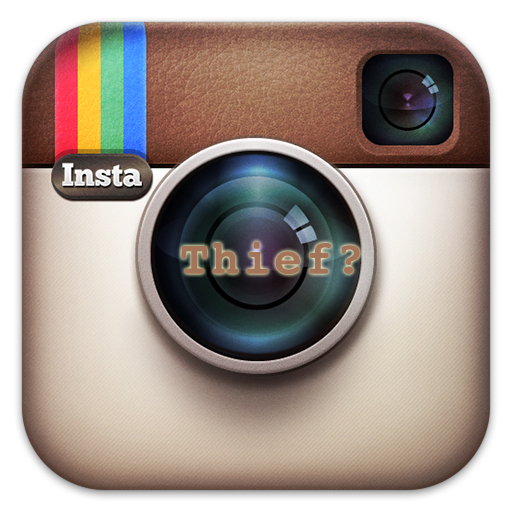 Download the app at instagram.com.The photo snobs are scoffing at Instagram. "It's debasing real photography," moans Kate Bevan, in The Guardian. "The very basis of Instagram is... to feign talent we don't have," Rebecca Greenfield bristles in The Atlantic. In fact, google "Instagram ruining photography" for more hate than you can stand. They're all missing the point. Instagram is a tool that you can use to create crap or great art... just like you can with a Canon 5D Mark III or Nikon D800. 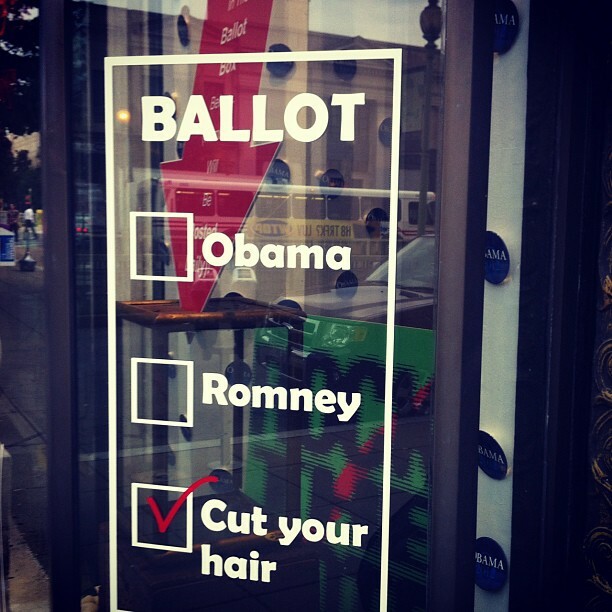 Vote hair? Use Instagram to tell the stories of your day.Instagram is the ultimate shoot and share app for mobile photographers. Today they claim more than 80 million users who have uploaded 4 billion pictures. The photos keep loading at the rate of 5 million per day. Part of the reason for the growth is its simplicity. Take a photo, crop it to the square format, add a tint, and share your work with relevant hashtags. People can follow individuals or follow the conversation of hashtags. Because Instagram is so easy, many users flood the site with mundane images of their lives. Just like those same people probably do in their Facebook feeds or Twitter accounts. It would be a shame to focus on them to complain about the platform. Many people also use Instagram to share creative and interesting images, participate in contests, or even communicate about their lives. 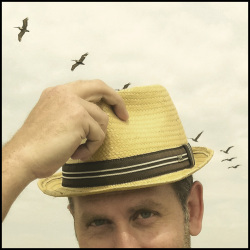 If you have... or plan to... take the leap to Instagram, many of the same principles of photography -- and mobile photography -- apply there as well. Keep it simple. 'Less is more' still applies with Instagram.Keep it simple - Less is more, especially when you have such little real estate. Pick one subject and a background that supports it. Remember that many people will be viewing your images on their small phone screens. Don't make them squint even more to see what you've taken. Shoot often, share sparingly - With all apologies to Brooks Atkinson, the virtue of your mobile phone and Instagram is not the power it has to transform you into an artist, but the impulse it gives you to keep looking. And shooting. 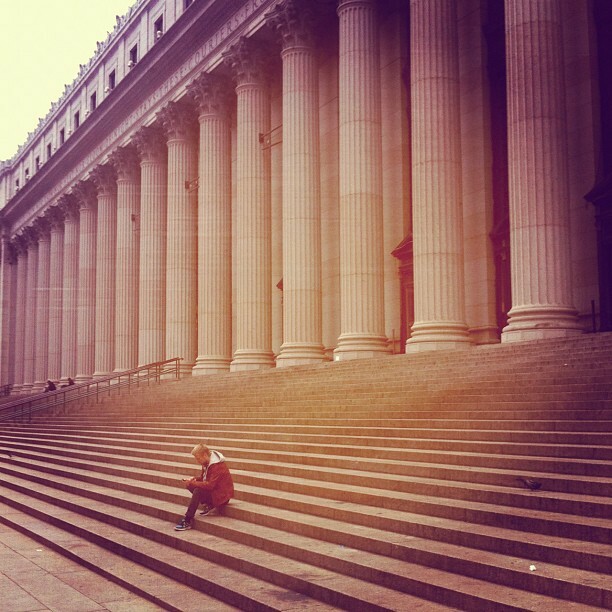 Your mobile phone camera is likely always with you, so you can always be on the lookout for great photo opportunities. Even better, you can experiment. Shoot often. Try different approaches. When you're done, be very selective of the images you share. Nobody wants to wade through 100 images a day from you. Take the best one or two and share them. Composition carries the day - Composition will be one of your best opportunities to showcase creativity. Remember the principles from our 21-week photo challenges? Keep them in mind as you shoot with your mobile phone. Choose a clear subject. Fill the frame. Move the viewer deliberately around the frame. No filter can correct a poorly composed photo. Tell stories - You are likely capturing the stories of your life, so make sure your photos tell them. Take images when something is happening. Think about your hero, supporting characters and storyline. Think storytelling to shoot storytelling. Follow and engage others - The beauty of Instagram is not just your opportunity to shoot photos but to engage with others. Find friends and others who share your artistic outlook and follow them. Get inspired from their work. Find themes or contest hashtags and join in. That's such an easy way to connect. Give likes to receive love - We all know the Like buttons from Facebook. You'll also find them on Instagram. When you Like an image, you see a heart appear. Love. Don't be shy about sharing your support when you find other work you admire. Artists always appreciate the love, as you will when someone returns the favor. I just started using Instagram for my Project 365 approach. Follow me @lynspics365. 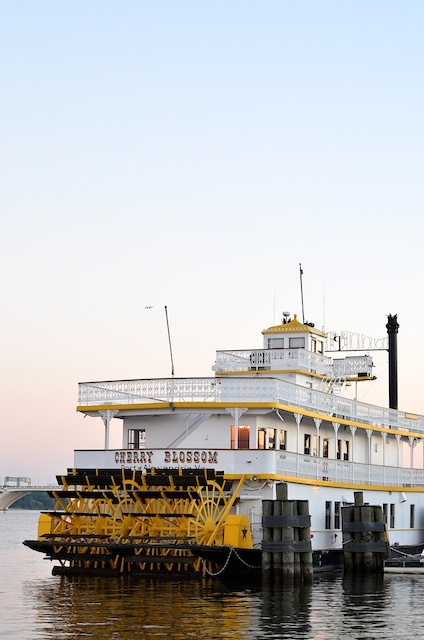 I'm shooting daily for fun and sharing images from my photo tours using hashtag #phototourdc. Follow along. Join in. Who cares what the photo snobs think. We're all 'serious' photographers. Are you using Instagram? Tell me about your experiences in the comments. Sharon Farmer regales us with stories of her life documenting history as a White House photographer. One of the first compositional decisions we make is often an overlooked one. You know that we begin the shooting process by deciding where to put the frame, but are you deliberate about what kind of frame you select? For years, a standard frame format was the horizontal 3:2. Makes sense. The horizontal format is the easiest way to hold most cameras. Also, it keeps the same format of the 35 mm negative, which is 36mm x 24 mm. 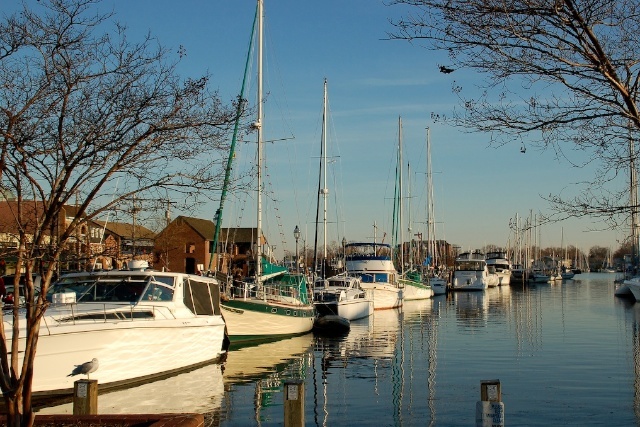 Here is the Annapolis Harbor in a standard format - 4x6 horizontal. It is the size and format most viewers expect. It's a safe choice but not always the most creative. As you develop your eye and choose the frame more deliberately, you’ll consider different options as you shoot. Since digital images make it so easy to crop after the fact, we can consider the 5x7, 4x5 (the 8x10) or even the 16x9 (HD video format). Many of these decisions we can make as we edit, but while we are shooting, we can still decide on horizontal vs. portrait. 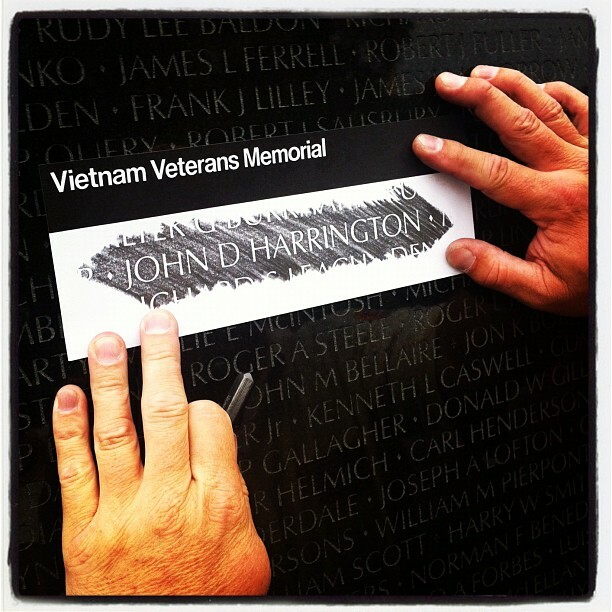 Here is the Korean War Memorial opened up to a 5x7 horizontal format. Photographing the same scene in 5x7 portrait mode, allows us to focus on just one of the faces. The easy way to make that call is to follow the dimensions of your subject. Vertical subject? Flip the camera to portrait position. Horizontal subject? Keep the camera in the same format. I think it's more fun to do the opposite sometimes - take horizontal subjects in portrait mode and vice versa. 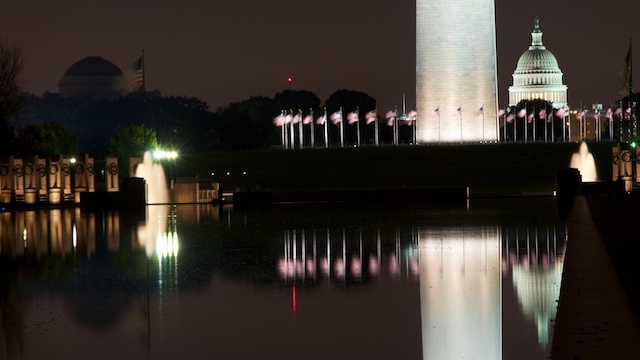 The Washington Monument and Reflecting Pool can be tempting in portrait mode, but sometimes it's fun to experiment with horizontal. This is in 16x9 for effect. This week let’s try different approaches. Take the same scene and shoot it in different formats -- horizontal and portrait. Experiment with different crop sizes, too. Share your favorites and tell us what influenced your decision. Be deliberate and think about these decisions before you shoot, not just after. Before you take that landscape photo with the horizon in the lower part of the frame, stop and think about why you are doing it. I know that the horizon in the lower third can give your photo a sense of stability, but it might not always be where you find the most dramatic composition. 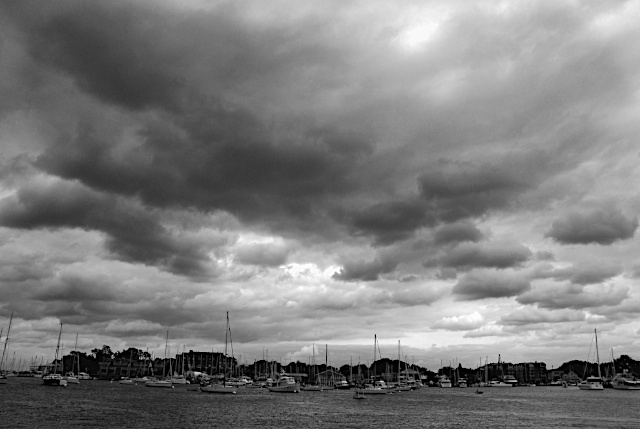 What will have the greatest interest - the foreground or the sky? In this photo of the Cherry Blossom, placing the subject in the lower third highlights a bland and boring sky. It’s an expected placement but not the most interesting on that day. Moving the horizon to the top third of the frame highlights the foreground. In this instance, the reflections provide a little more interest than the featureless sky. Here is a more extreme angle of the kind of sky that invites you to place the horizon very low. The threatening clouds clearly stand out as the interesting feature here. Horizons can play a role in other types of scenes as well. When you are indoors, treat the place where the back wall and floor meet as the horizon. Even when you can’t see it, the horizon is usually implied. We all know it is out there and assume its location. Your goal is to place it where it would have the most impact not reflexively move it to the lowest part of the frame. Feature a horizon in one of your photographs. Be deliberate about the placement and tell us what influenced your decision. What effect were you trying to create? First we make eye contact, then we follow the eyes. For that reason, we need nose room. What does that mean? Here’s the internal dialog your potential viewers have when they look at a photo with a person in it. “Who is that?” We look at the eyes to identify and connect. “What is he looking at?” We then move in the direction the eyes are pointed. A compositional technique says you let that movement take you into the frame rather than out of it. We call that providing nose room. 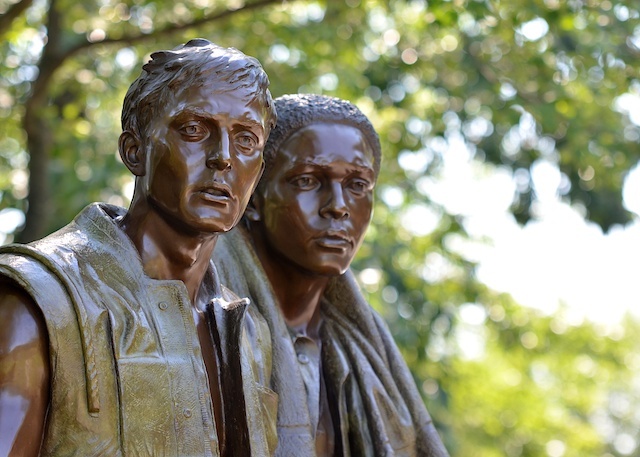 When I took this photo of the Three Soldiers at the Vietnam Veterans Memorial, I placed them on the left of the frame and created open space in front of them. My viewer will make eye contact with the soldiers and then move into the frame. If the soldiers were placed on the right side, my viewers make eye contact and run into the edge of the frame. That has a very different effect. This is a simple technique when one or two subjects are looking in the same direction, but what happens they are looking at each other? In this case, you try to create a primary subject and secondary one. 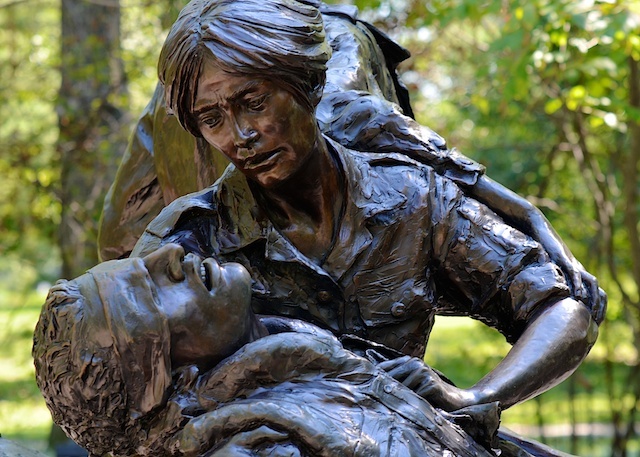 In my photo of the Vietnam Women’s Memorial, my primary subject, the nurse, is looking at my secondary subject, the wounded soldier. When you have two subjects interacting, it is always best to position yourself so one is clearly the primary. Do that by making sure we can see both eyes. We then follow her eyes to the secondary subject. If we can move our viewers deliberately around the frame, it makes for a much more pleasing experience. Take a photo with a primary and secondary subject. Make it clear that one is the hero and position that person so we follow the eyes to the secondary subject. Remember that you will have more impact if we can see both eyes of your primary subject. We’re not looking for two profiles. We want to connect with one person and then move to the second. We are nearing the end of our 21-Week Composition Challenge. This is our last discussion and feedback on topics we have covered, as well as your submissions. There is so much to discuss as there are about 10 weeks to review. Please bring your composition related questions. 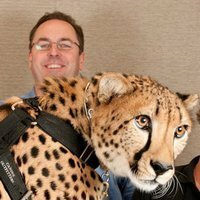 If you have a specific question or image you would like me to discuss or provide feedback, please leave it in the comments. I'll try to get to as many as possible. 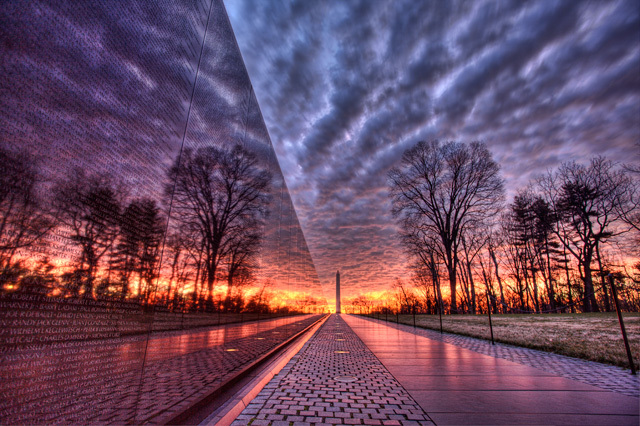 In Angela Pan’s spectacular photo of the Vietnam Wall, all lines lead to the Washington Monument, creating a photo composition technique called vanishing point. When you create a vanishing point, all the parallel lines appear to converge in the distance. It’s a great way to show depth - a 2D image now begins to have a 3D look and feel. This should be a simple one to create once you are aware of the effect. You are looking for multiple lines to lead the eye to the same point. In some cases, that might be infinity. Once you’ve chosen the vanishing point, where should you place your subject? In this photo, we are led to the Washington Monument, but there are times when you can place your subject opposite the leading lines. Imagine someone was standing in the left of this photo, right near the camera. That person would clearly be the subject, but the vanishing point would still continue behind in the distance. Nothing wrong with that. There are even times when the vanishing point happens outside the frame. We see the lines begin to converge, and it is implied they meet outside the borders of the image. Nothing wrong with that either. You get to decide. You are the artist. Just in case you still have trouble visualizing the concept, I created a Flickr gallery with more examples. Create a photo where your leading lines converge at a vanishing point. You can place the subject at the vanishing point or opposite. You can even make the vanishing point outside the frame. Note: Angela B. Pan creates stunning HDR photography, which she showcases at www.abpan.com. 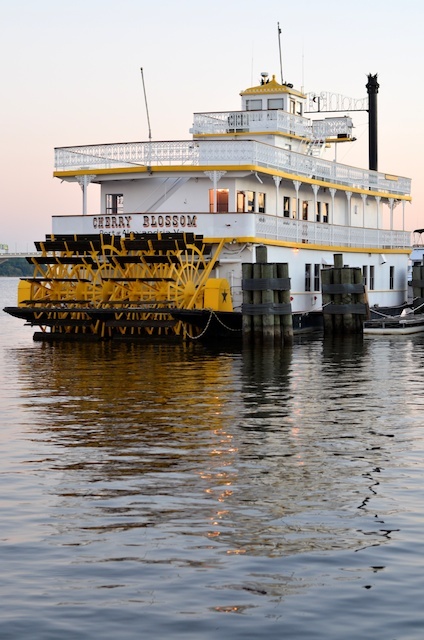 She discussed how she creates her HDR images on our April 10, 2012 Free Photo Webinar. No, we aren't going to use it because it looks cool. No, we aren't going to use it just to be artsy. 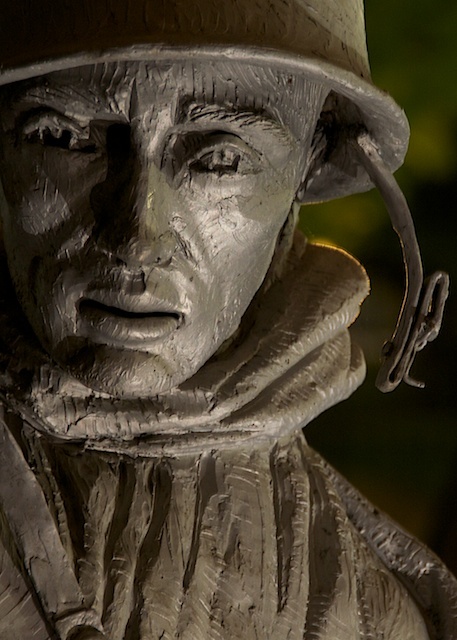 This week, we will use selective focus to communicate... to make a point. Here is a technique all new photographers want to learn -- how to make the background blurry. It does look cool when you master it. Create a bokeh effect, and it even looks artsy. But why else might you use it? 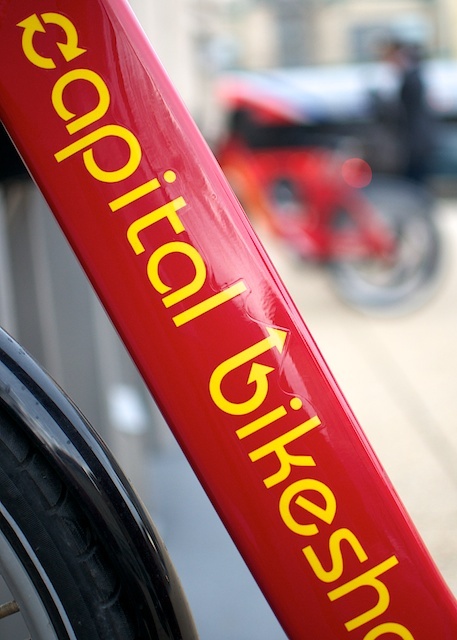 I wanted to photograph the Capital Bikeshare racks in Washington, D.C. 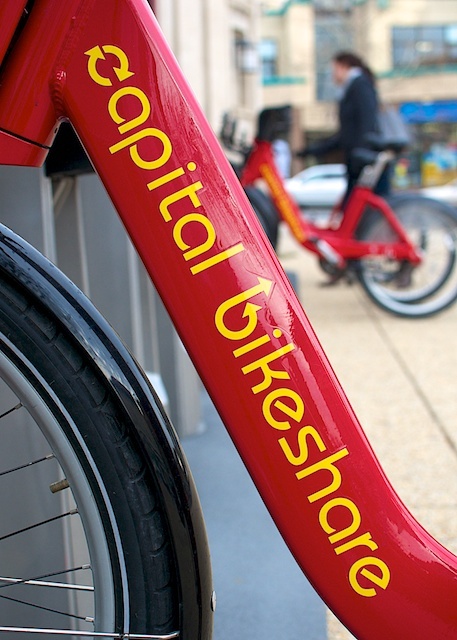 The rows of bright red bicycles with complementary yellow type make an inviting target. The repeating pattern of bicycle frames is also attractive. Capturing both effects is great, but I also wanted to include a rider. Adding people to an image can create a new dimension. It adds life. I didn't want the person to be the focus of the image, however. Because we are drawn to the human form, it can easily become a distraction. Selective focus was the right tool, but how much blur? In my first attempt, I used f/1.8, which totally softened the background. 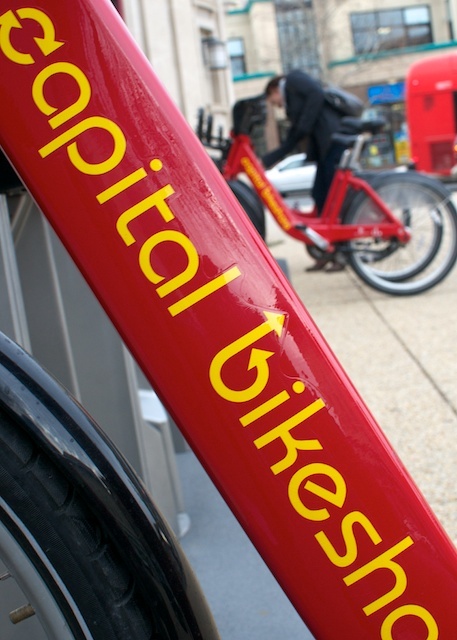 It was too much for my taste, as I wanted to communicate there was a person renting the bike. My second attempt at f/9 created too much detail in the background. I found myself looking at all the other items in the frame, as much as my subject. Distracting. At f/4, I found my right balance. I had enough detail to communicate a person was renting a bike. I created enough of a blur to eliminate potential distractions. Selective focus is used to separate your subject from the background. It can also be used to show just the right amount of complementary elements. Not sure how to create selective focus? Learn about the four elements used to make blurry backgrounds in this blog post. 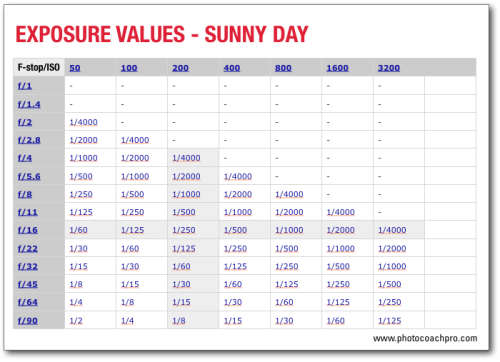 You can also use this helpful depth of field cheat sheet from Digital Camera World. Take a photo using selective focus, but don't do it just to be artsy. That's too easy. Tell us why your choice enhanced the photo.